One family's story of survival in postwar Hungary, 1948. In Budapest after the war, when Kata's family first returns from hiding, they are glad to be alive and hopeful that life will improve. But the secret police is questioning everyone about their loyalty to the Hungarian Workers Party, and conditions seem to be worsening. The eleven-year-old doesn't understand why her brother Bela is acting so differently or why he hasn't come home from his recent excursion. Her father used to own the factory, but now, as an employee, his wages continue to fall. She helps her mother sew the bears they will sell on the black market, but when Kata learns that Bela has escaped the country, she grows angry and sad. In time, she hopes that Bela will make it to America and will send for his family. Author Barry Denenberg brings us into the whirlwind that is the life of Princess Elisabeth of Austria. 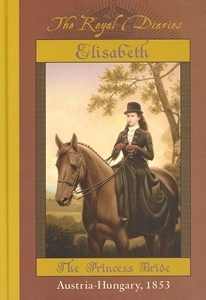 A free and impetuous spirit, Elisabeth is chosen at the age of fifteen (over her older sister) to be the wife of Franz Joseph, Emperor of Austria. From that moment on, she is thrown into an intimidating world of restrictions and tremendous responsibilities. Feeling lonely and alienated, Elisabeth is forced to rely upon her own personal strength, which eventually leads her down the aisle and into an uncertain future. For generations the tribes of Huns and Magyars had moved relentlessly westward, obeying the voices of their pagan gods, which compelled them to follow the elusive white stag to their promised homeland. They swept Europe, all the while pursuing their vision of the stag. Their leader was called Attila, and the land Hungary. Here is the epic story of their tribal migration and their fierce leader—known to us even today.